Our current San Luis Obispo mayor would have us believe that crime has gone down between 2017-2018, but it belies a disturbing truth. Our Police Department’s own published crime statistics for the first three-quarters of 2018 reveals a significant increase in certain deeply concerning crimes. Sexual assaults have spiked by 180 percent during the first quarter of 2018 and the third quarter witnessed a 133 percent increase in reported rapes. Residential burglaries increased by 92 percent in the first quarter of 2018 and by 116 percent during the second quarter. Robberies also increased 250 percent during the first quarter and by another 88 percent during the quarter just completed. 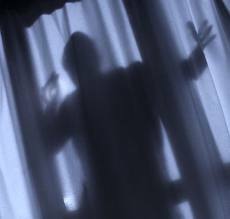 In general, burglaries are up nearly 55 percent for the year. If these are not alarming numbers, what are? This is not the fault of our hard-working Police Department. In fact, our police have caught two of the suspects responsible for the sexual assaults. And thanks to the MeToo movement, more sexual assaults are being reported than ever before. Yet the rank and file of the department is down some eight to nine positions that they’ve been trying to fill for some time. Also, the voter’s passage of Proposition 47 a few short years ago that decriminalized drug offenses seems mostly to blame for the increase in residential burglaries wherein valuables are stolen from our homes and fenced for drugs. Add to that the amount of time it is taking the department’s Community Action Team (CAT) to deal with a certain component of our homeless population is sapping their ability to respond. What should we do about these problems? Taking credit for a decrease in certain crimes while masking an increase in other serious crimes is not the answer. 1. Bring the number of positions in our Police Department up to an amount necessary to fully populate our need for sworn personnel to serve our community and its neighborhoods. 2. Support the hiring of a mental health professional as a key addition to the Community Action Team to better communicate with the mentally ill and act proactively with the County’s Mental Health Agency and those services offered by non-profits to get the mentally ill the help that they need. 3. Bolster the efforts of the “Coordinated Community Response Team” (CCRT) between SLO and Cal Poly to address the spike in sexual assaults and devise solutions on how we can meaningfully reduce these crimes. 4. Be truthful with the public about crimes being committed in this city and publish these crime statistics quarterly in a very public way. 5. Be wary of the infusion of cannabis in our community since its legalization and take measures to ensure that it does not bring corruption into local government. 6. Consider joining with other communities and law enforcement agencies that are witnessing increases in property crime related to decriminalizing drug offenses to back an initiative to repeal Proposition 47. These action steps should go a long way towards helping the public to better understand what is happening in San Luis Obispo and building public support for a more visible and meaningful presence of law enforcement in our community. T. Keith Gurnee is a former San Luis Obispo councilman and a current mayoral candidate. With alcohol, drugs and mental health issues many homeless cannot fit within the parameters of the available programs. They can hold a sign to procure that days funds for self medication and a good start would be to discontinue that revenue stream. The service provided by SLOPD can be increased significantly without spending a dime. Just quantify the percent of their availability that is currently being siphoned off dealing with the homeless. There ya go. The Daily… And how do you propose doing that? CAPSLO and the so-called shelter is useless. CAPSLO’s only purpose is to grab money from the taxpayers. It’s nothing but a “private” Country Club. I’m open to suggestions. And how about cleaning up the corruption in the Police Department? I wholeheartedly agree sweethome the homeless thing is a cesspool. I also feel our PD is no more or less corrupt than PDs of this size and they deal with it as they will when it comes to the surface. But your questions do illuminate the core of the problem so the only suggestion I have is you go ahead and answer them. Or are you as without solutions as I am? Now there’s a question that answered itself! The Daily I guess I have more questions than answers. My thinking is that California Proposition 247 (If I remember correctly) allowed prisoners being released in large numbers. And also the overcrowding of jails/prisons made court ordered mandates made releasing many prisoners additionally. I’m not judging that decision one way or another; however, now many people are being left on the streets. They have a criminal record (to a certain degree) and now have no jobs, no money and no recent job history. The last statistic I read was that approximately 14,000 inmates are being released per MONTH in California. My thinking is that desperate people are causing even more crime (primarily property theft). And the pathetic “homeless shelter/CAPSLO” system has become even more overcrowded. CAPSLO or eliminate it altogether. With more than $60,000,000 budget per year, an entirely new and different system could be organized. We need more temporary housing, more affordable permanent housing, and liveable wages. We need to overhaul the mental health system completely. Thank you for your polite response! Notice that Gurnee uses percentages rather than raw numbers to make things look a whole lot worse than they are. After all, this is not Baltimore or Chicago. Somehow, in Gurnee’s world, sexual assaults have “spiked.” Actually, they went from two in 2017 to four in 2018 (see http://comstat.slocity.org/dashboard/Incidents/). Every other category has seen declines according the chart from comstat. I guess Gurnee just needs something to talk about since everything else is going well. Reminds me of Trump and his wall. Let’s scare low information voters into voting for him. You were doing great until the mud slinging. Why do you need to drag trump and the wall into SLO? Really wtf. Why can’t people discuss the real issues but instead insult people? I have not made up my mind yet on who to vote for, but when Heidi Harman calls this place “the axis of evil” it shows who is whispering in her ear and the total lack of inclusivity and civil discourse (except in name). What we really need to do to clean up the corruption in the local government we ALREADY have and have had for many years. The San Luis Obispo Police Department has had so many “bad apples” that SLO is a disgrace. Convictions from Extortion, drug use and drug selling, DUI’s, and theft. As far the homeless situation, everybody knows that CAPLSO is corrupt. How much money has been stolen from the homeless? How about an investigation about Family Ties and it’s connection with CAPSLO and the San Luis Obispo County? You said we need to be truthful about the crimes in this city. I agree. How about we go after the huge problems first; then we can manage the secondary problems afterwards. Thank you in advance for your response Mr. Gurnee. A sensible democrat! I didn’t know those existed anymore. He would have my vote. Iff I voted. So complains about elected officials/policies, does not vote. Noted. Maybe he doesn’t live in the city. Just sayin’. Going beyond the issues associated with cannabis and homelessness, there is another problem that the City apparently wants to ignore. The over-concentration of alcohol outlets downtown breeds crime, places economic hardships on existing retail businesses, is a public health and sanitation hazard, presents a livability problem for downtown residents and hotel patrons and reduces economic diversity by displacing existing retail stores and offices. The City promised that staff and Council would look into implementing an over-concentration law. Under “assessing and renewing Downtown”, staff included in its action plan the following: “Alcohol Concentration Evaluation and Adoption of Code Amendments.” The completion time for this was November of 2014. This never happened.